Editor’s Note: A well-earned congratulations to our very own Ryan Powell on the career achievement of entering the US Lacrosse Hall of Fame. Ryan is one of the shining examples of a man who made the game better than when he found it and we are glad to see him recognized for it! SPARKS, Md. (May 23, 2018) — The National Lacrosse Hall of Fame announces the addition of nine new inductees as the Class of 2018, following approval by US Lacrosse’s Board of Directors. The newest members will be officially inducted in a ceremony on Saturday, September 29, at The Grand Lodge in Hunt Valley, Md. The 2018 inductees are: Kevin Cassese, Elizabeth Leigh Bradley Friedman, A.J. Haugen, Alex Kahoe, Phyllis Kilgour, David Morrow, Ryan Powell, Denise Wescott, and Tami Worley. Tickets for the 2018 National Lacrosse Hall of Fame Induction Ceremony, sponsored by RPS Bollinger and the Markel Insurance Company, will be available to the public for purchase beginning August 1. Tickets will be sold online at uslacrosse.org/HOF. Cassese will be inducted as a truly great player. He enjoyed an All-American career at Duke University, earning first team honors as a midfielder in 2002 and 2003 and second team accolades in 2001. He was also selected as the recipient of the Donald MacLaughlin Award as the national midfielder of the year in 2002. Cassese earned All-ACC honors three times (2001, 2002, 2003) and was named the ACC Player of the Year in 2001 after leading Duke to the first of two straight league championships. He was a Tewaaraton Trophy finalist in 2002 and 2003. Cassese was a member of the 2002, 2006 and 2010 U.S. Men’s National Teams, winning the gold medal twice and also serving as captain for the 2010 squad. Cassese enjoyed a seven-year professional career in Major League Lacrosse, earning all-star honors in 2005 & 2006. He was selected as the MLL’s All-Star game MVP in 2006. A native of Port Jefferson Station, N.Y., Cassese was inducted into the US Lacrosse Long Island Metro Chapter’s Hall of Fame in 2013. Friedman will be inducted as a truly great player. Following a four-year varsity career at Friends School in Maryland, including undefeated teams in 1968 & 1969, Friedman began her collegiate career at Ithaca University, playing two years before transferring to Towson University for the 1974 and 1975 seasons. She was a two-sport athlete at Towson, also playing on the field hockey squad. Friedman was a member of the U.S. Women’s National Team program for four years (1972-1975), and played on the 1975 U.S. Touring Team that finished undefeated in Great Britain. She finished as the U.S. Team’s leading scorer during that tour. As a club player, she had a four-year run as a member of the South squad at the Women’s National Tournament. Friedman has previously been inducted into three Halls of Fame, including the inaugural class for Friends School, as well as the Towson University Hall of Fame and the US Lacrosse Greater Baltimore Chapter’s Hall of Fame in 1997. Haugen will be inducted as a truly great player. He was a three-time first team All-American midfielder at Johns Hopkins (1998, 1999, 2000) and selected to the NCAA’s All-Tournament Team in 2000. He also played in the North-South All-Star Game that season. Haugen finished his career with 85 goals, 23 assists, and 108 points, ranking third in school history in career goals among midfielders. Haugen played on two U.S. National Teams, earning All-World honors as a member of the 1996 gold-medal winning U19 team. He was also a member of the 2006 U.S. Team that claimed silver. Haugen enjoyed a six-year professional career in Major League Lacrosse, earning all-star honors each season. He also played on two championship teams, winning the title with the Long Island Lizards in 2001 and 2003. A product of Bethpage, N.Y., Haugen was inducted into the US Lacrosse Long Island Metro Chapter’s Hall of Fame in 2012 and the Johns Hopkins Athletic Hall of Fame in 2013. Kahoe will be inducted as a truly great player. She was a three-time All-American at the University of Maryland, earning first team honors in both 1999 and 2000, and second team honors in 1998. Kahoe was the ACC goalie of the year four times (1997-2000), and the national goalie of the year in both 1999 & 2000. She helped lead the Terps to four straight NCAA titles during her career, serving as team captain as a junior and senior. She also played in the North-South All-Star Game in 2000. Kahoe was selected to both the ACC’s 50th Anniversary Team and the NCAA’s 25th Anniversary Team, and concluded her career as the ACC’s all-time saves leader with 968. Kahoe was a member of the U.S. Women’s National Team Program from 1997-2005, and served as an alternate for the 2005 World Cup Team. In 2009, she played for Ireland’s World Cup Team. Kilgour will be inducted as a truly great coach. One of the most successful girls’ high school coaches ever, she amassed a 574-75-7 record in 32 years at Radnor (Pa.) High School. She retired following the 2010 season with a career winning percentage of over 87 percent. Still going strong at the end of her tenure, her teams posted a 75-2 record during her final three seasons, going undefeated in 2008 and winning state titles in 2009 and 2010. In total, Kilgour’s teams captured seven Pennsylvania District I championships prior to the beginning of state sanctioned championships in 2009. Her Radnor squads then captured the first two PIAA state titles in 2009 & 2010. Kilgour was recognized as District I coach of the year three times, and was named the Philadelphia Lacrosse Coach of the Year in 2010. She produced 30 All-America players. In addition to coaching, she served as Pennsylvania Scholastic Lacrosse Association (PASLA) National Tournament Chair, PASLA Treasurer, PASLA League Representative, and on the US Lacrosse All-America Committee. Morrow will be inducted as a truly great player. Following an all-star career at Brother Rice (Mich.) High School, Morrow became a three-time All-American defenseman at Princeton University. He earned first team honors in 1992 and 1993, and third team status in 1991. Morrow was a two-time winner of the William Schmeisser Award as the national defenseman of the year (1992, 1993), and captured the Raymond Enners Award as the national player of the year in 1993. He was a three-time All-Ivy League selectee (1991, 1992, 1993) and helped lead Princeton to its first NCAA championship in 1992. He was named to the NCAA’s 25th Anniversary Team in 1995. Morrow played for Team USA in 1994 and 1998, winning the gold both times, and he was named to the All-World Team following the 1998 championship. As a businessman, Morrow was a co-founder of Major League Lacrosse, and founder of Warrior Sports. He is credited with developing the titanium lacrosse stick. Powell will be inducted as a truly great player. He was a four-time collegiate All-American at Syracuse University, earning first team honors in 1999 & 2000, third team honors in 1998, and honorable mention status in 1997. Additionally, he was the winner of both the Raymond Enners Award as the national player of the year and the Jack Turnbull Award as attackman of the year in 2000. Powell helped lead Syracuse to the NCAA championship that season. He ranks second in Syracuse history with 287 career points and fifth in career assists, with 150. Powell played on the U.S. Men’s World Championship Team in 2006 and 2010, winning the gold medal in 2010. Professionally, he played eight indoor seasons in the National Lacrosse League, finishing with 140 career goals and 377 points. He also played eight outdoor seasons in Major League Lacrosse, finishing with 190 career goals and 180 assists. He was MVP of the 2008 MLL All-Star Game. Westcott will be inducted as a truly great contributor who served as an administrator and game developer. Her lengthy resume includes service at many different levels across four decades. Notably, Wescott served as president of the IWLCA (Intercollegiate Women’s Lacrosse Coaches Association) from 1999-2001 and as its treasurer for three years. She has been a member of the FIL’s (Federation of International Lacrosse) World Cup Committee since 2005, and served on the organization’s development committee for 14 years. She has served four terms on the NCAA Rules Committee, and was a US Lacrosse leadership volunteer for 10 years. She has conducted player and coach development clinics nationally and internationally, including in 13 different countries, and served as head coach of the German National Team for 10 years. Domestically, she amassed over 200 wins as a collegiate head coach, including stints at Rutgers, Delaware, Mt. St. Mary’s and Monmouth. NCAA Championship Weekend Rundown - D1, D2, & D3! Box is Alive in Northern England this Summer - Come Play! 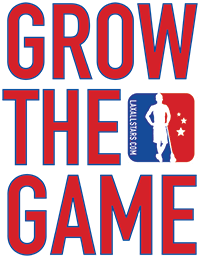 Founded in 1998, US Lacrosse is the national governing body of lacrosse. Through responsive and effective leadership, we provide programs and services to inspire participation while protecting the integrity of the sport. We envision a future that offers people everywhere the opportunity to discover, learn, participate in, enjoy, and ultimately embrace the shared passion of the lacrosse experience.